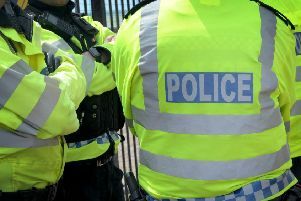 Sussex Police has said it takes a ‘robust approach’ to hate crime after a transgender woman was assaulted. Isla Speirs appeared at Brighton Magistrates’ Court on March 30. She was convicted after trial of common assault on September 11 and harassment without violence between September 12-27. The 31-year-old, of Regency Square, Brighton, was given a 12-day rehabilitation activity requirement, a 12 month restraining order and ordered to pay £50 compensation to the victim. According to police, Speirs targeted a woman in Brighton with transphobic abuse on a number of occasions throughout September 2016, as well as assaulting her by throwing a cup of coffee over her. Sussex Police hate crime sergeant, Peter Allan, said: “I am pleased the court has convicted the defendant in this case. No-one should be targeted in such a personal and public way because of who they are. “This sentence sends out a clear signal that we will take a robust approach to those who target individuals based on their disability, gender identity, race, religion or sexual orientation. “I hope this case will encourage other victims of hate to report such behaviour to the police. We appreciate how difficult it can be for victims and witnesses to give evidence and I am pleased the court agreed the victim could give her evidence from behind a screen and that Speirs was not allowed to cross examine the victim directly. Hate crime can be reported to police by emailing 101@sussex.pnn.police.uk, calling 101, or 999 in an emergency. For those who wish to report online, you can do so by completing the short form which is available on our website.